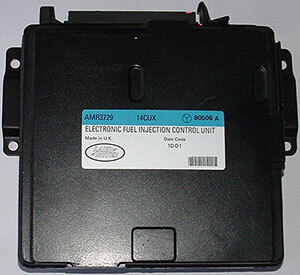 It is a Lucas Engine ECU and we are able to fully test and rebuild these units. This entry was posted in Land Rover, LATEST NEWS and tagged 80432A, 80693A, AMR2942, ERR6802, Land Rover ECU Problems, Land Rover ECU Repairs, Land Rover ECU Testing by smartAjaz. Bookmark the permalink. We’ve seen that particular part number several times and have been able to successfully repair it. For a quotation, please call us on 0208 853 5000.